To automobile industries around the world, automobile exhibition is one way of showing their prowess. This is the reason why automobile exhibitions are held around the world on a regular basis. Many companies find it necessary to present their new concepts over a platform which has wide outreach. To be honest, auto exhibitions are a mixture of public relation campaign as well as promotional activity. The objective of different companies in an exhibition is to demonstrate their new projects as well as future ones to the people. It helps in the growth of companies and also creates awareness amongst the masses. India also considers automobile exhibition as a necessary campaign. The same has motivated to organize an exhibition named Auto Expo, in which companies from 30 different companies take part. To name a few, Auto Expo has BMW, Mercedes, Renault, Hyundai, Suzuki, Toyota and other companies participating in the event. As India is a gigantic market for the automobile industry, the exhibition becomes all the more important. There are new launches as well as future concepts demonstrated in the exhibition. The popularity of the event is known to everyone. This is the reason why it is in the top 7 auto exhibitions around the world. Participating in the exhibition every time it is organized is a compulsion for a name like Hyundai. As we are aware, Hyundai is a successful name in the automobile industry, not just in India but around the globe. It has given quality products to the buyers around the world which has led to its successful run in the market. In India as well Hyundai’s projects have been widely accepted. Hyundai has also won car of the year award in the past. With such solid history, the expectations from Hyundai were higher in this year’s Auto Expo. It certainly stood up on each one of them. Hyundai i20 is one of the most purchased cars in Indian market. It is considered ideal for those buyers who look for more in a limited budget. As a matter of fact, the car has even won the Car of the Year award in the past. The successful run of i20 compelled the makers to improvise it and relaunch it in the market. With added features and design, Hyundai decided to present the new Hyundai Elite i20 in this year’s Auto exhibition. It had been anticipated for a certain period of time now. The new Hyundai Elite i20 has improved design and features. One of the visible changes or probably the most significant change is the cascading grille in the front. It adds to the distinctive look compared to the previous version. The starting price of ne Hyundai Elite i20 is around INR 5.34 lacs. If you go for other variants of the same car, the price can go up to 7.5 lacs depending upon the variant.  It is one of those hatchback cars which are affordable and spacious at the same time. This is the reason why Hyundai Elite i20 was much awaited. Moving on to the features of new Hyundai Elite i20, the car comes with better projector LED headlamps, with daytime running feature. Along with it, the car also possesses wraparound tail-lights as well as dual tone rear bumper. Hyundai Elite i20 is equipped with 16-inches alloy wheels for stylish looks. Moving on to the interiors, the car offers ample space for your legs to rest. Talking about the engines, it is the same version as the previous i20. It comes with a 1.2-litre petrol engine which has the capacity to give 83 bhp. It comes with 5-speed manual gearbox. It is important that different automobile companies start considering the mode of transportation in the near future. Each and every one of us must be responsible for what is lying ahead of us. Keeping that in mind, many automobile companies have come up with future concepts of vehicles which would contribute less to the pollution while running efficiently. Even in Auto Expo 2018, many companies presented their future prospects. Hyundai was one of the names on the list. Hyundai presented an electric car named Hyundai IoniqEV, which is considered as a mode of transportation for the future. It was expected that Hyundai would launch its electric car in this year’s Auto Expo, but that plan was postponed due to higher GST rates. But Hyundai didn’t miss the chance to present the concept vehicle in the exhibition. When the car was unveiled, everyone was astonished by the design and the promising features. The Hyundai IoniqEV is equipped with an electric motor which is capable of producing power equivalent to 120 bhp and about 300 Nm of torque. This proves the efficiency of the electric vehicle as compared to the conventional ones. Moving on to another set of features of new Hyundai IoniqEV, it is said that the vehicle can pick up the speed of 100 km/h in 10.2 seconds, which is quite commendable. In sports mode, the time is reduced to about 9.9 seconds. The maximum speed that you can attain with this electric vehicle is about 165 km/h which is again admirable. The vehicle has a driving range of about 280 km. There is also a hybrid version of the car, named Hyundai IoniqHybrid which has electric motor producing the power of about 42 bhp. These cars have been appreciated for their thoughtful design and performance. Taking in consideration of people who love SUVs but have a smaller budget, many automobile companies have come forward with various vehicles which can be considered as micro-SUV. These cars have designs like an SUV but for a smaller budget. They are sized equivalent to a normal hatchback. The appearance has a resemblance to SUV. Working on this prospect, some bigger names in the automobile industries came up with some concepts. Hyundai also worked on the similar plan and presented Hyundai Kona at Auto Expo 2018. The vehicle attracted viewers for its design as well as performance. 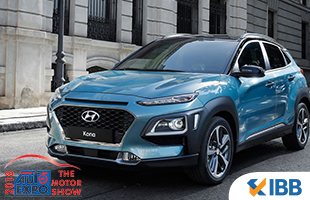 Talking about the car, Hyundai Kona is a micro-SUV designed for those who love the muscular appearance of a vehicle. It can be ranked below Hyundai Creta in the catalogue. It is a hatchback model, keeping the SUV design in mind. As cleared by experts, Hyundai Kona shares the same platform as Hyundai i20. It is expected to have the same features as Hyundai i20. The interiors, as well as the dashboard designing, would draw an inspiration from Hyundai i20. The looks and appearance of the car are said to have gained appraisals in the automobile industry. Moving on to the details of the vehicle, the car would be launched in diesel as well as petrol platform. It is expected that Hyundai Kona would be launched with 1.2 and 1.4-litre petrol engine. For those who prefer diesel version, Hyundai Kona would be equipped with 1.4-litre diesel engine. Even though the details have not been cleared by the company, it is said that the car would have manual or automatic transmission, depending upon the version of the vehicle. The car is expected to be on the roads in near future. However, the market is waiting for more news from the company. Apart from these cars being launched at the Auto Expo 2018, there was much more to the Hyundai Campaign. Talking about the entire campaign by Hyundai, it seems to be clear that it has strived to grow its market of pre-existing successful vehicles. Here we are talking about Hyundai i20 which has been renewed to Hyundai Elite i20. The campaign of Hyundai also gave us a look into the future of vehicles with the electric vehicle by Hyundai being presented at the exhibition. Apart from the vehicles, Hyundai also showcased a unique Virtual Reality platform. Working on its public relation campaign, Hyundai presented people a new and exciting technique of connecting themselves to social media while they’re in the exhibition. The platform was set up by Hyundai in which the visitors were allowed to connect to their friends over social media. This was an innovative step by Hyundai to expand its social media campaign as well. Due to this technique, people who couldn’t manage to visit the Hyundai Pavilion during the Auto Expo 2018 could easily get the entire information about the campaign within few minutes of their time. Keeping up the enthusiasm, Hyundai managed to update people who weren’t present at the exhibition. They used social media websites like Twitter, Facebook and Instagram to provide live feeds of new unveilings as well as concept model launching. This move was appreciated by the audience who were present online. The advancement of technology certainly helped Hyundai in this case. Hyundai also introduced GIGA selfie in which a person could take a selfie in the Hyundai pavilion and share them online. Many viewers at the event enjoyed this innovative step by Hyundai. The numbers of selfies taken each day rose accordingly. Hyundai also organized a Virtual Reality gaming arena where the visitors could enjoy few games with their friends. As Hyundai is closely associated with FIFA, it organized a Virtual Reality Penalty shootout game for the visitors. The visitors were allowed to score goals on a VR platform through headers. It was certainly a sight to watch out for during the exhibition. People who love racing games were also given an opportunity to try out the virtual reality platform, racing in Hyundai sports car. These games generated a lot of interest in the visitors. A large gathering was spotted around the gaming arena. One of the most important things that were expected from Hyundai in this year’s Auto Expo was the fact that the all-new Santro would be unveiled. As a matter of fact, many experts had suggested that the new Santro would be presented on this platform. It was a possibility as Auto Expo has an extensive reach when it comes to generating awareness about any vehicle. Many sources had confirmed that Hyundai has been testing the new Santro for quite a while now. However, Hyundai did not reveal any data about Hyundai Santro in this year’s Auto Expo. It is expected that it may be launched by the end of this year. Judging on the overall performance by Hyundai during this year’s Auto Expo, it can be said that it stood up to the expectations. The buzz created before the exhibition about new launches and concepts were catered with each passing day. Talking about launches, the new Hyundai Elite i20 is targeted to continue the promising run of previous versions of the vehicle. It can be said that Hyundai kept the requirements by common people in mind. The improvements in designing and interiors are a suggestion to continue their work on public demands. As India is expected to go electric in modes of transportation by the year 2030, Hyundai managed to introduce its future concept IoniqEV with stylish designs and powerful performance. Electric cars are now inevitable as the world seems to be rushing towards the sustainable environment. The contribution of a big name like Hyundai to the environment is certainly significant. Keeping this part in mind, Hyundai designed a vehicle which could cater the needs of people and also not contribute to the pollution. This car would be launched in India in the coming years, depending upon the market. And for those people who love SUVs but cannot afford it, Hyundai managed to woo them with their unique concept of micro-SUV. The new Hyundai Kona is targeted for those who look for SUV like design in a hatchback budget. Kona falls in the category of hatchback modelled car while its design is similar to an SUV. Apart from these cars, Hyundai’s campaign in the Auto Expo was popular due to its innovative ideas as well as crowd-gathering methods. It was said that almost 6 lacs people visited the Hyundai pavilion, which makes it a successful campaign.